The Australian government continues to encourage the visa holders whose documents are not up to date in order to seek help from the immigration officials so that they can regularize their situation. The Department of immigration and Border Control (DIBP) frequently does send officials to the areas outside big cities so that the visa holders having issues can access the correct advice. There can be numerous reasons why a visa can become invalid, such as forgetting to get a renewal or not informing the DIBP of a change in circumstances. The overseas workers can also be offered wrong advice from the employers who seek to exploit them, at the same time, they make them feel obliged so that they say nothing for losing job. Backpackers as well as students whose circumstances can change due to part time jobs or education course are set of another group which may not realize importance to keep their visa up to date. Our teams are always ready to help, if circumstances have changed it is best to get in touch as possible to that situation and it be rectified rather than leaving it and getting worried that their visa could be withdrawn, said the DIBP spokesman. Meanwhile, the government is also determined to crack down on those who deliberately abuse the visa system. 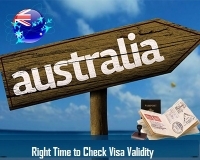 If people cannot comply with the conditions of their visa or simply decide to stay in Australia without a valid visa. It is only a matter of time before they would be tracked and sent home, said the Assistant Minister for immigration and Border protection, Michaelia Cash. She also added that, investigations are continuing for those employers who are suspected of engaging illegal workers.